Hey, guys! Today I’m going to start diving into an often overlooked part of your house, the heating and air conditioning (HVAC) systems. 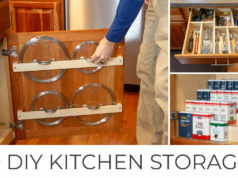 This is the beginning of a series where I start looking at household systems and what you need to think and do in order to keep them running in top shape. 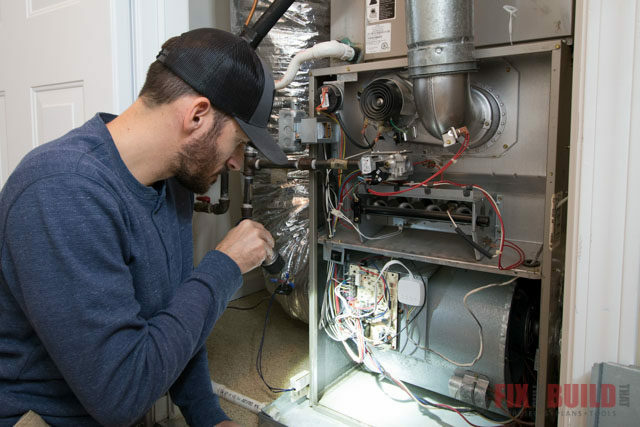 And since we’re headed into the winter months here in the U.S., it’s the perfect time to talk specifically about how to do preventative maintenance gear up your furnace for heating season. 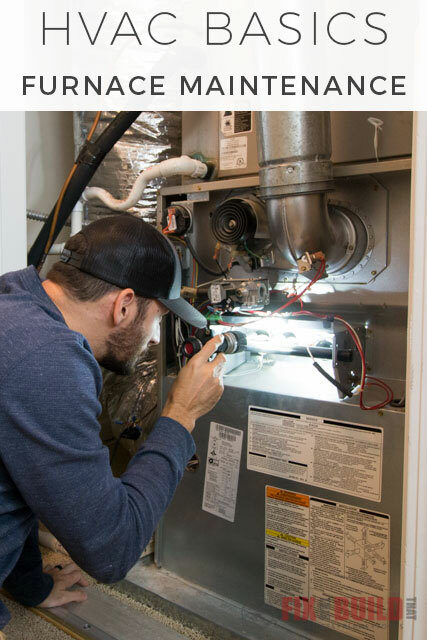 I’ve partnered with Trane Residential to bring you this blog post, and I’ll tell you about some of the great resources they have on their website to help you maintain and care for your HVAC systems. And don’t worry if you have another system brand, these tips and steps will hold true across them all. Just a quick note: If your HVAC system is under warranty, be sure to follow any requirements to keep it in place. Today I’ll start with a little HVAC Basics and we’ll focus on getting to know your heating system, how to inspect and clean it, doing a start up test check and ongoing maintenance. Let’s dive into it! 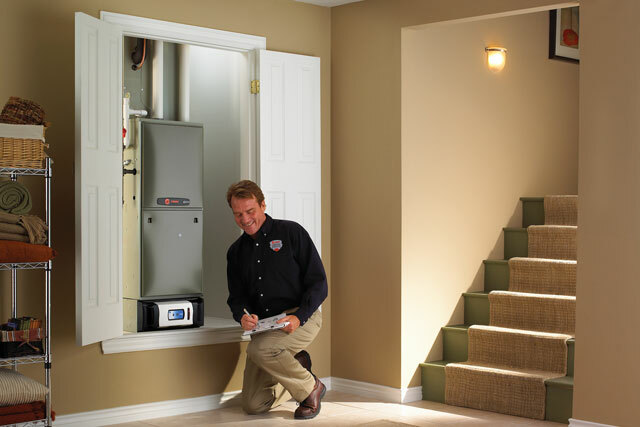 Let’s start with what type of heating system you have. You might take it for granted that everyone has the same type of system, especially if you’ve always lived in the same state. But there are many different types out there. The most common type of furnace in the U.S. is a gas furnace. That’s what I’ve always had, so that’s what I’ll focus on today. Your furnace could be powered by natural gas, oil, propane or even electricity, but they all pretty much do the same thing. A power source heats up a heat exchanger which then transfers heat into the air flowing across it that is delivered into your living space. 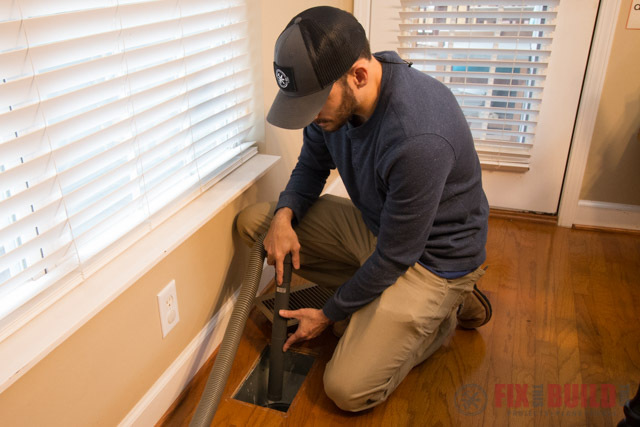 If you have this type of system, you’ll usually have a series of ducts coming from the furnace delivering warmed air to floor, ceiling or wall vents throughout your living space. There are other types of systems out there like heat pumps, ductless systems, boilers, and geothermal. 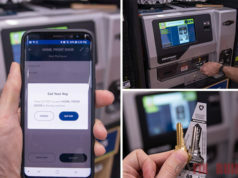 I won’t cover them today, but Trane does have a great resource page where you can find out more info on most of these systems at Trane HVAC System Basics. The first thing I do coming into Winter (and throughout the year as needed) is a visual inspection on my furnace. Ours is located in an upper hallway of our house, but in my old houses it was always in the basement … I really miss having a basement! I start by shutting off the power to the furnace then removing the cabinet front. Depending on your model you’ll be able to see different things I’m referencing. Basically, you want to just look for anything out of the ordinary like rust, burning on the circuit boards, or any debris from critters. It’s also a good idea to check the drain openings in your base pan. The pan catches condensation from the furnace and compression coil and if the drain is blocked it could overflow onto the floor. My old furnace also had a filter right on the unit, and if you have one then you’ll want to inspect and change that, too. 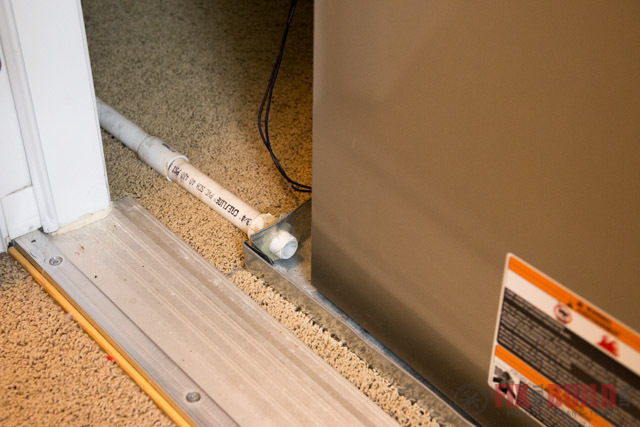 This is one of the easiest and most important things you can do to keep your furnace clean. If you do find anything other than debris, then this could be time to call in a professional to service and inspect your system. 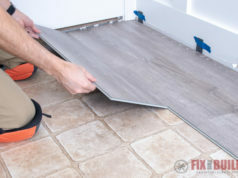 As a DIYer, it’s tempting to do your own maintenance but it’s a good idea if things look amiss to have an expert come out for a tune up. This is even more important as your furnace ages and gets past the 10-year mark. One of the most important things they will check for are signs that you may have a carbon monoxide leak. 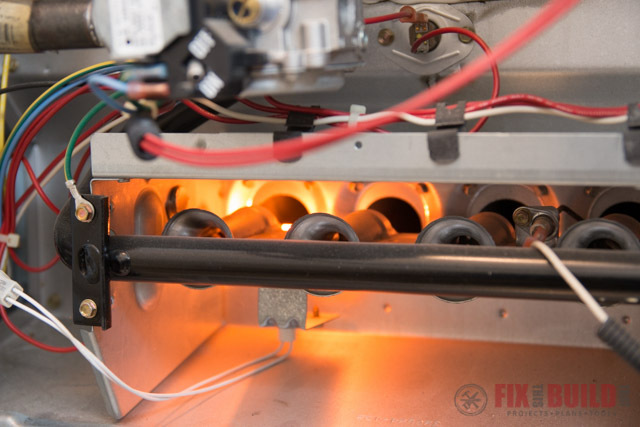 A technician will take a look at your heat exchanger for signs of cracking or rusting. If your heat exchanger is damaged it could allow carbon monoxide to escape into your home. Carbon monoxide is known as the “silent killer.” because it is colorless, odorless, tasteless and non-irratating. 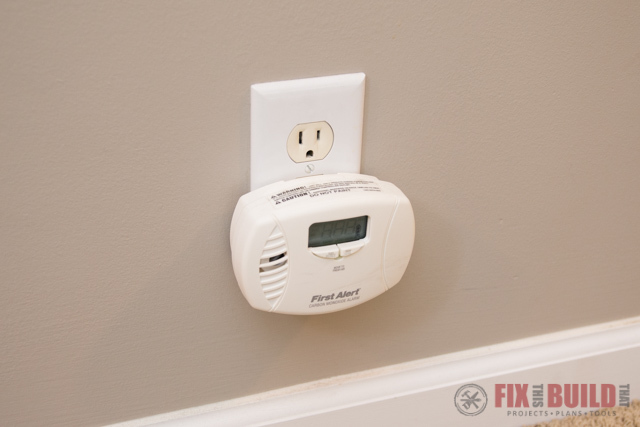 Along with having your furnace checked by a professional in the fall, it’s smart to have a carbon monoxide detector in your home as well. 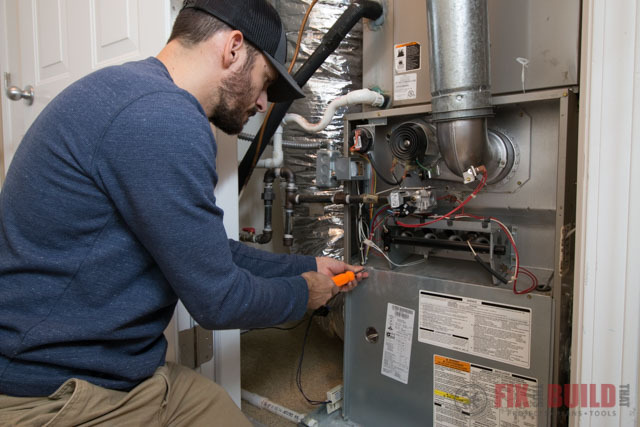 If you want to learn more about what to do before your service appointment, Trane has a great checklist for what to do to be prepared for a service call. They also have a wide network of highly skilled residential experts that can come out to your home. Okay, if nothing substantial was found during the visual inspection then it’s time to fire up the system and see how it’s working. If your system has a gas pilot light then you’ll want to make sure that is lit. If you don’t know where to find your pilot light then check your owner’s manual. My furnace has an electric hot surface ignitor to ignite the natural gas which is what newer furnaces will likely have. I turn the power back onto the furnace and for my model I need to leave the main cover off to see the burners. Some furnaces have a clear window so you can see the burners with the cover on and some won’t even let you turn the unit on with the cover off. I head to the thermostat and change it over to heat mode and raise the temperature above the current inside temp. Go back to the furnace and look and listen to see what’s happening. There should be a series of clicks and noises including a small fan turning on (this is the combustion fan). Next, the hot surface ignitor will start glowing red, and then the gas will start flowing and be ignited. You’ll hear it light and it will a rumble like a little mini after burner in there. 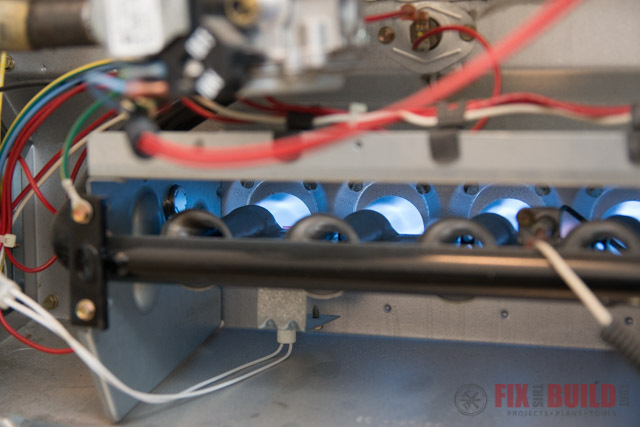 For a natural gas furnace the flames should be blue with very little if any orange or red. If your system shuts down before reaching any of these points or if your flames look inconsistent or red or orangish then it’s time to call in a professional. If you don’t have a local HVAC professional you can use the Trane Specialist Locator page to find one who is on call for emergencies. Hopefully everything went well and your system is up and running in tip top shape. To keep everything running smoothly, there are few things around the house you can do. 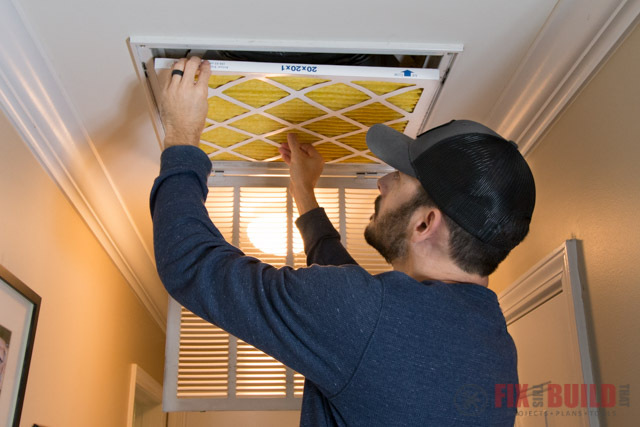 One of the easiest and most important things to do regularly is change your air filters especially on a regular basis. Filters help keep dust and debris out of the furnace system which will, in turn, help it run smoothly and efficiently. And more importantly they clean (hence the name “filter”) the air to provide better indoor air quality. You may have one or several vent returns in your house. We have two of them and they each take a different size filter . We change ours every 3 months. Putting it on your calendar is a great way to remember. The second thing most people overlook is to actually check and clean the air vents. We have floor vents downstairs, and we have 3 kids. You do the math. That means I’m pulling out Cheerios and Lego from the vents anytime I clean them. But, I’m also vacuuming off the dust that collects on the grilles. Keeping your vents clean again will help reduce stress on the system and just give you a better heating efficiency. 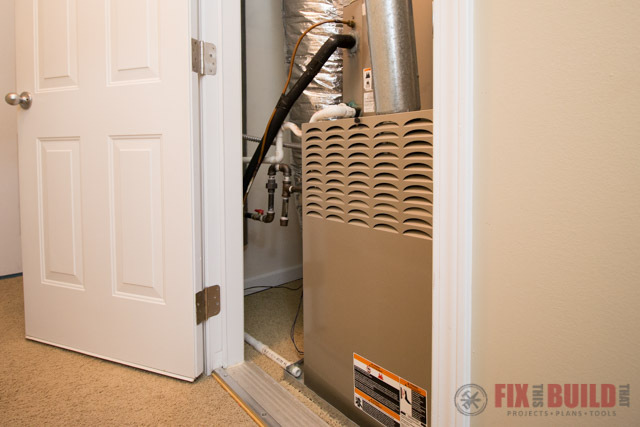 I hope this short walk through has helped you with a few basic ways to get your furnace prepped and ready for heating season. Between that and some regular maintenance, your system should serve you for a long time. 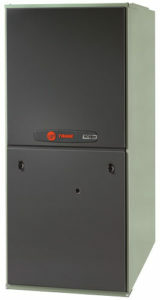 And of course, if you are looking for a new system make sure to give Trane a look and see how they can meet your needs. They have a range of options and pricing to fit your needs – from the most efficient XC95M to the best value XB90 designed for the coldest climates. Trane’s very in-depth website will walk you through new systems along with a pricing guide and available tax credits for your new upgrade. 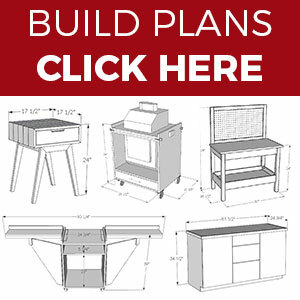 Stay tuned for more of my HVAC series and until then you can check out some of the other projects on my Home DIY projects page. Trane provided me with product and/or monetary compensation as a sponsor of this build. All opinions are my own and are not filtered by the sponsor.